The Thermo Scientific TSG Series powered by Phononic∞™ solid state refrigeration technology, has been designed to meet the rigorous and demanding needs of healthcare, research and industrial applications where solid performance is required, in support of breastmilk and medication storage, analyzer kits and reagents, and even cell culture media. 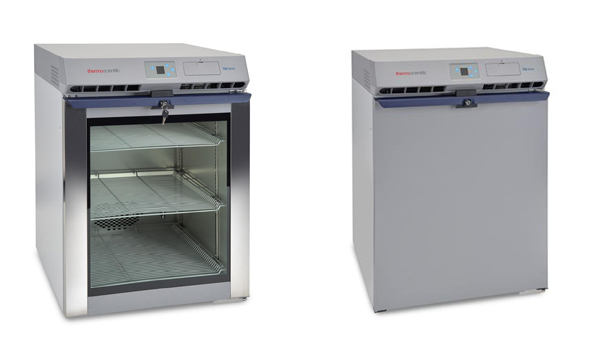 The TSG Series, which is available from Labotec, brings cutting edge innovation into refrigeration by incorporating solid state technology in place of traditional refrigeration methods—this means that you are not only are able to maintain the most demanding storage conditions but you also can enjoy increased storage capacity meaning you can get more done in less space. All while using less energy and putting almost no heat into the work environment.